As I briefly mentioned above, Copenhagen in winter is chilly! Temperatures average around 2°C meaning you’ll want to wrap up warm. My gloves, hat and scarf were certainly my best friends during my time in the city. More than this, you can almost guarantee that rain will be forecast for when you visit Copenhagen, even if you’re just visiting for a day. After all, Copenhagen is one of the ‘rainiest’ cities in Europe. Therefore you’ll also want to bring a waterproof/umbrella. This said, in my experience, the rain passed quickly and actually provided the perfect excuse to stop for a coffee in one of the cities adorable cafés. If you visit Copenhagen in December then you’re in for a real treat as the city has some of the best Christmas markets in Europe! Picture gorgeous wooden stalls, lined with festive foliage, selling everything from fudge and mulled wine to Christmas ornaments. 1) The Christmas market in Nyhavn harbour (my personal favourite). 2) Freetown Christiania Christmas market. 3) the Strøget Christmas market. 4) Tivoli Gardens at Christmas. 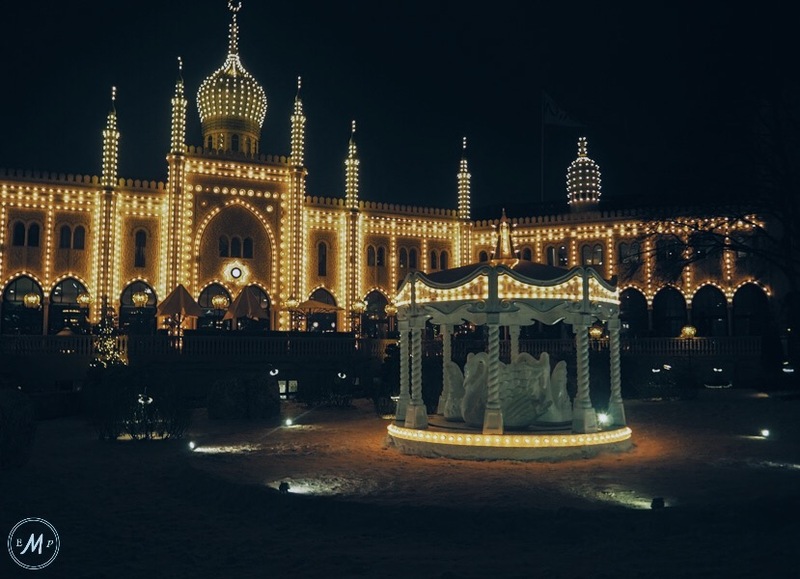 Christmas market aside, a trip to Tivoli Gardens is one of the best things to do in Copenhagen in winter. 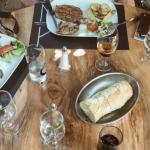 Thought to be the oldest theme park in the world, Tivoli Gardens is packed full of fun rides, restaurants and attractions. Although its open all year round, I found that the lights that decorate the park in winter make the whole place even more magical and heartwarming. 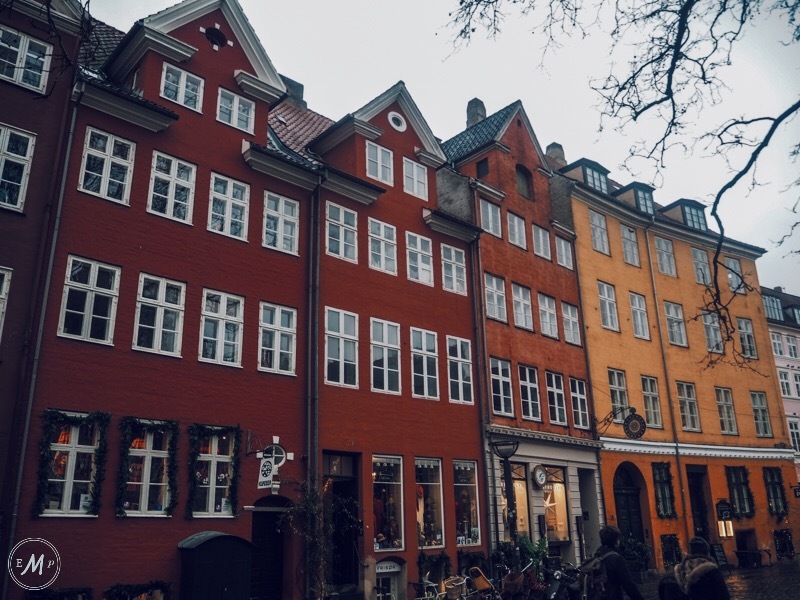 You haven’t been to Copenhagen if you don’t visit the iconic Nyhavn area. This colourful waterfront is what most people picture when they think of the city! Although touristy, its the part of Copenhagen I found most beautiful. Thus, its somewhere you really don’t want to miss, even in the cold! 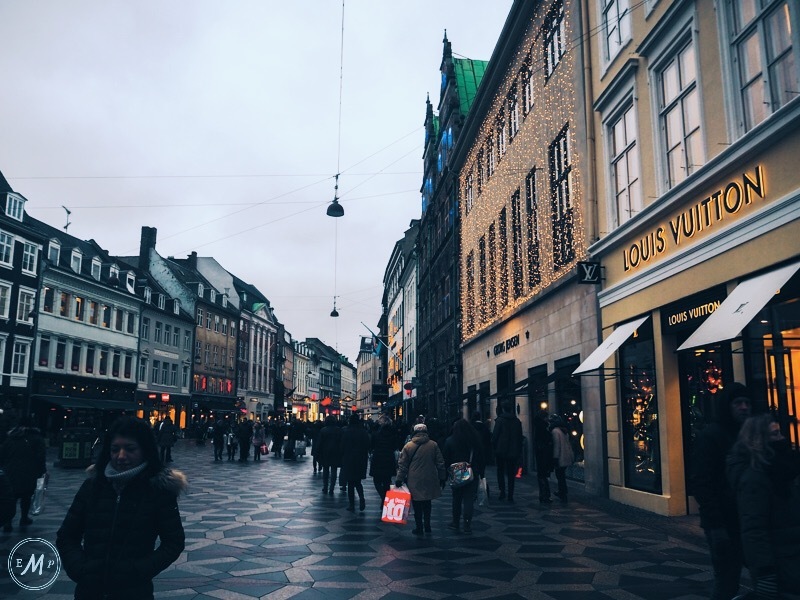 If you’re anything like me, and love to do a bit of shopping, then another of Copenhagen’s attractions worth visiting is ‘The Strøget‘ – one of the longest pedestrian shopping streets in Europe. 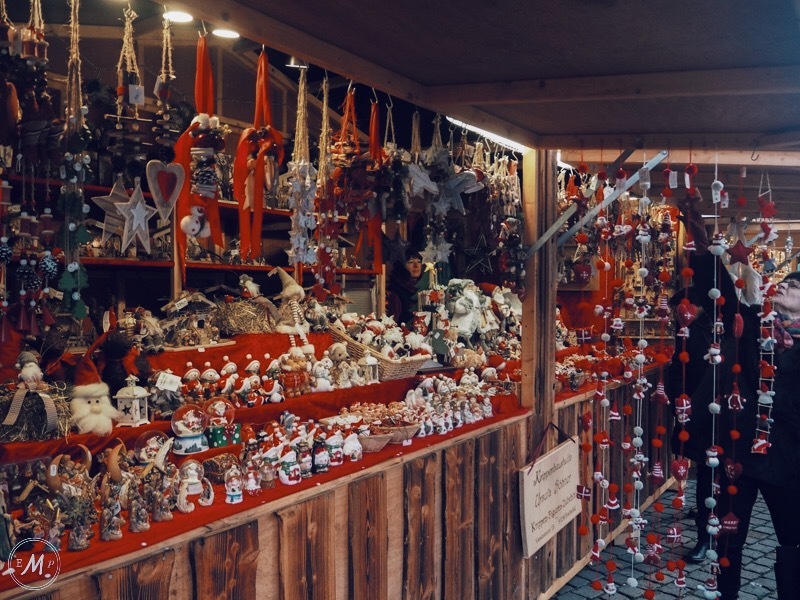 Filled with a vast variety of shops, from cheap independent stores to some of the world’s most expensive brands, I found it to be the perfect place to do some Christmas shopping and escape the cities cold winter weather. Thus, if you’re visiting Copenhagen in December then The Strøget is a must visit! 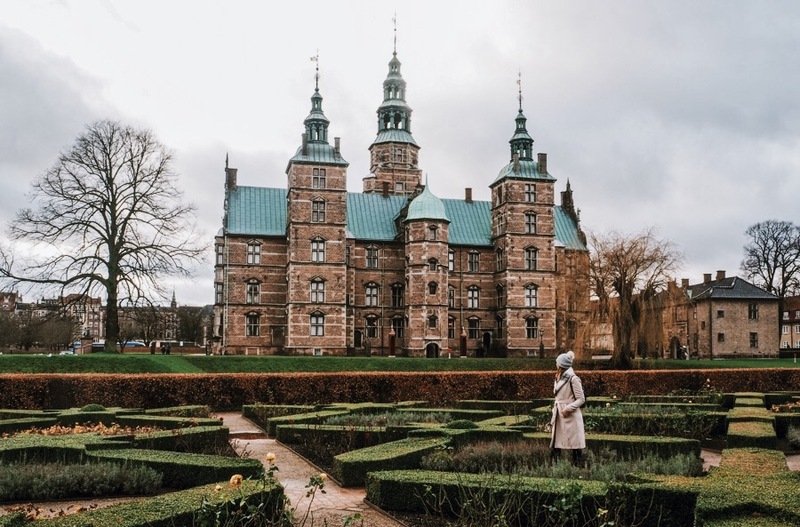 Denmark has one of the oldest Monarchies in the world, thus it’s no surprise that some of the top things to see in Copenhagen are castles and palaces. The most notable of which are: Amalienborg Palace, Rosenborg Castle and Christainborg Palace. I’ve written about each of these in a detailed post, which you can read here. The ‘Rundetaarn’ or round tower is a 17th-century astronomy tower located in the heart of Copenhagen. For the very affordable price of Kr. 25, you can climb the towers spiral core and observe spectacular views of the city from an encircled outdoor platform. 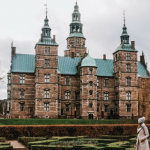 This said, if you’re visiting Copenhagen in winter, the strong winds felt at the top of the tower make the cities cold winter temperatures feel even colder, so you’ll really want to wrap up warm before climbing up! 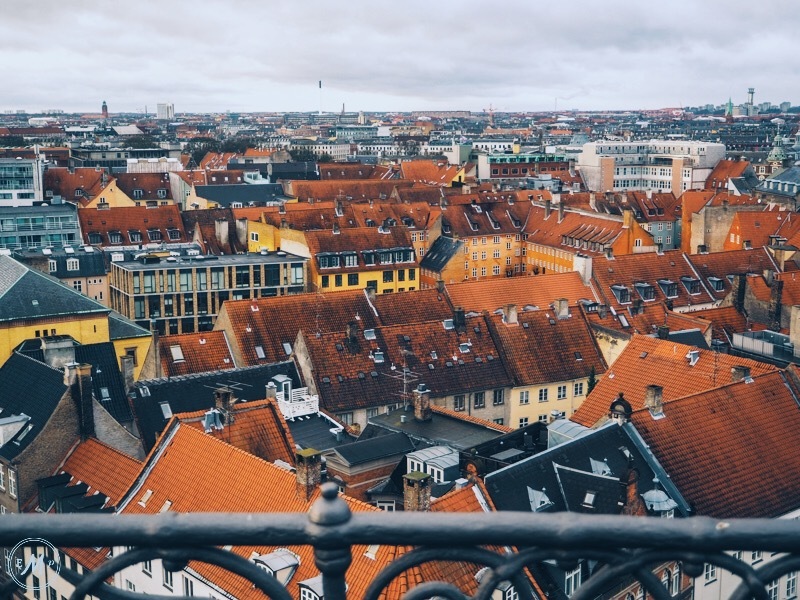 None the less, I found that the views are certainly worth the freezing temperatures and would, in fact, say that the Round Tower is one of the top things to see in Copenhagen. Another suggestion of what to do in Copenhagen in winter is to visit one or more of the cities museums. Although I personally didn’t visit any on my trip, they provide the perfect place to keep warm in winter. I’ve heard fantastic reviews about the Museum of Modern Art and The National Gallery of Denmark. 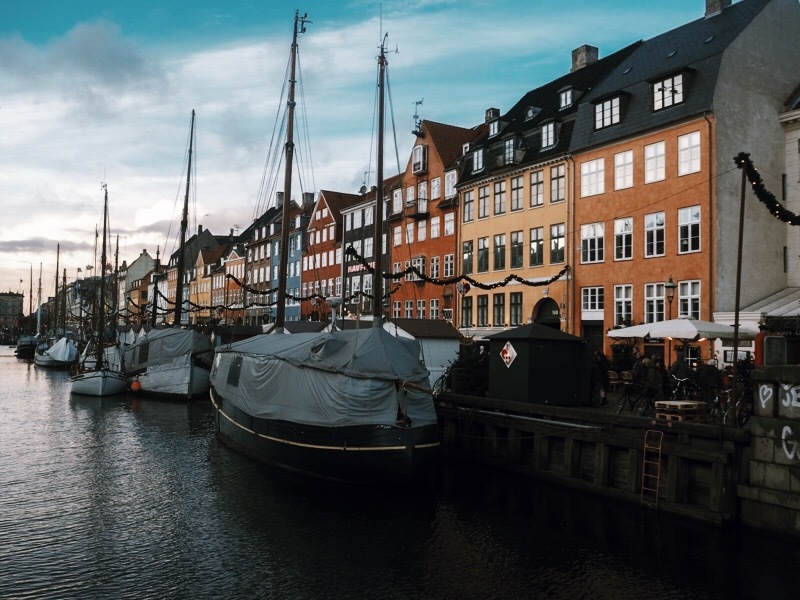 Many people will say that Copenhagen sightseeing isn’t complete without a visit to the cities most famous attraction, the Little Mermaid statue. However, I’ve left it till last on my own list of what to see in Copenhagen, because the statue is actually quite a walk away from the city centre. Therefore, a visit is probably not one of the top things to do in Copenhagen in winter, unless you want to freeze walking to view it! Therefore, since I’d also heard many people say that they were underwhelmed by the statue, I decided to give it a miss on my own visit to the city. All in all, was Copenhagen in winter cold and rainy? Yes… But its also pretty magical. 🙂 As a top tip, I would recommend visiting Copenhagen in December for the added bonus of the Christmas Markets because these were simply adorable! Copenhagen is high on my list! While I don’t think I’d want to visit in the winter, it does look lovely. I had no idea it was so rainy, good to know! I’m planning to goto Copenhagen this year and this list is great. I’ve got it bookmarked and will be adding these items into my google drive travel spreadsheet. Thanks! Perfect timing just planning a trip there right now – however flying out of Belfast makes it a little trickier but after this piece I am determined to get there and can’t wait. All planned for 2 weeks from now so excited. Definitely worth the extra hassle! Least from the cities airport, it’s easy to get into the centre so it won’t be tricky once in Denmark! Great post and nice to read about what the city is like in the winter. I had the pleasure of visiting in May last year and it’s one of my favourite cities in Europe. I also found it super photogenic! 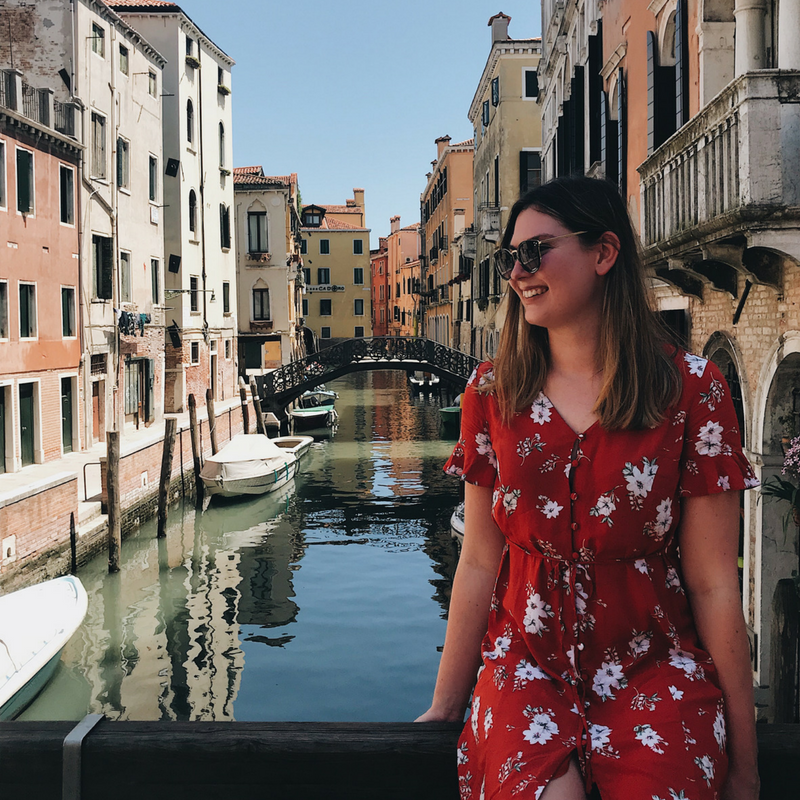 Copenhagen seems like an astonishing travel destination and a winter wonderland, Rachel. Thanks for the exceptional guide which I hope to use soon. How many days would be enough to see all the highlights there?